We met Rosi and her family for a second time, to show them our models and get feedback. They liked the first model ( tights stuffed with Polystyrene Beads), especially because it is see-through and one can see the inner structure. Furthermore the grip feels very interesting and the material would support an upright position of the body, because it adapts to the body shape. But we noticed negative point, such as, vandalism. One can easily destroy or cut the outer surface of this model. So we understood that we need something that is tear-proof and stable. The family liked the idea of using foam for the seat. But they were skeptical, if the foam will adapt to the body shape like it needs to. For our model we used „Flex Foam lll“. It is one of the most flexible and soft foams we found. Together we came up with „Memory foam“. 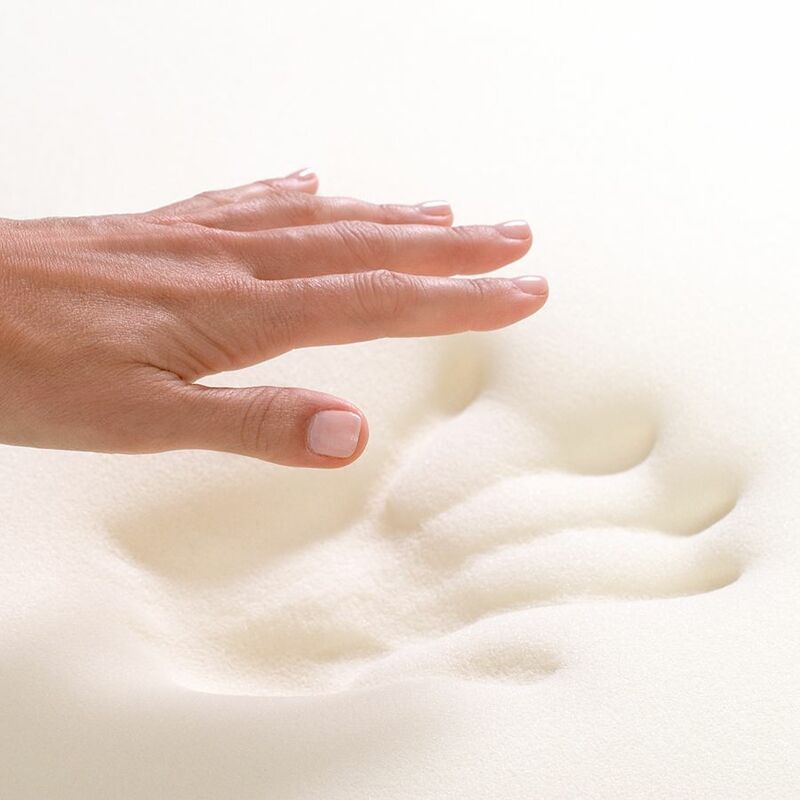 Memory foam has the ability to return from a deformed state (temporary shape) to their original (permanent) shape induced by an external stimulus (trigger). It imbibes the posture and doesn’t take long return to its original shape. It is often used for mattresses. Memory foam seems to be the perfect fit for our requirements. The next step would be to find the suitable coating, for the lying/sitting surface to be waterproof and at the same time maintaining the characteristics of the foam.